Trek duration : 7 nights/8 days (2 days by bus and 6 days walk). Trek season: October to June. Activities : Trekking and walking. Viewpoints: Kyanjin Ri (4773m) and Tsergo Ri (4984m). Highiest elevation : Tsergo Ri 4984m. 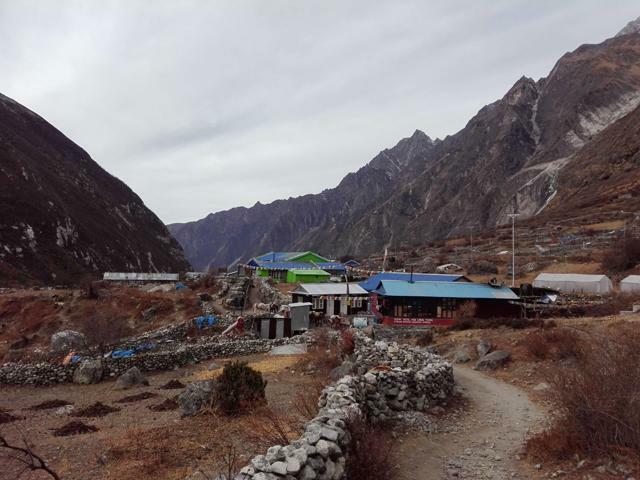 Villages : Syafrubesi, New Langtang village and Mundum. Ethnic group: Majority of Tamangs. Himalayan Scenery: Ganesh Himal, Langtang Lirung 7234m, Langtang Lirung II, Yubra Himal, Dorje Lakpa, Gangchhempo Peak, Nayakang and Yala Peak etc. Trek price $600 per person Norsang and Laurens Verbeke at Tsergo Ri (4984m). Trek price $600 per person Mt. Langtang Lirung and Yubra Himal. Trek price $600 per person Yak and Nak in Lantang. Trek price $600 per person Yak cheese store at Kyanjin Gomba. Langtang valley is for the trek in the Langtang National Park north of Kathmandu and bordering Tibet. It is one of the easy access trekking destinations in Nepal and moderate type difficulty trek for 8 days. The trek is popular because of a beautiful valley, Glacier River, various types of Rhododendrons forest, Yaks, Red Panda, Langur (white monkey), Himalayan Thar (mountain goats), Snow leopard and wild dog etc. Mt. 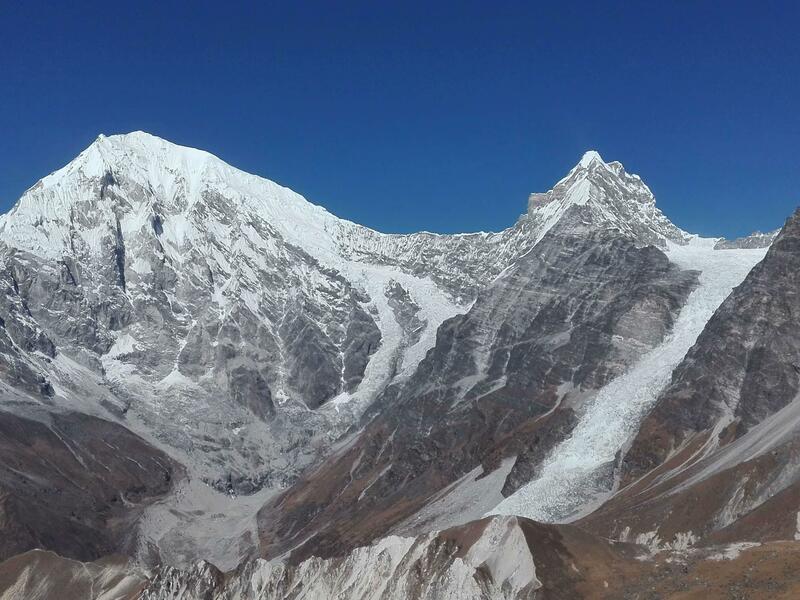 Langtang Lirung (7234m) is the highest peak in the park which towering above the valley. Beside Langtang Lirung, there are other peaks such as Gangchhempo, Dorje Lakpa, Langsisa Ri, Yubra Himal, Naya Khang, and Yala peak around. The trek begins from Syafrubesi which is one day drive from Kathmandu. The trek passes through Langtang village to reach Kyanjin Gomba. A half part of the Langtang village was destroyed because of avalanches hitting from Langtang Lirung in April’s Earthquake 2015. The village is rebuilt and known as a New Langtang where the lodges are available now. 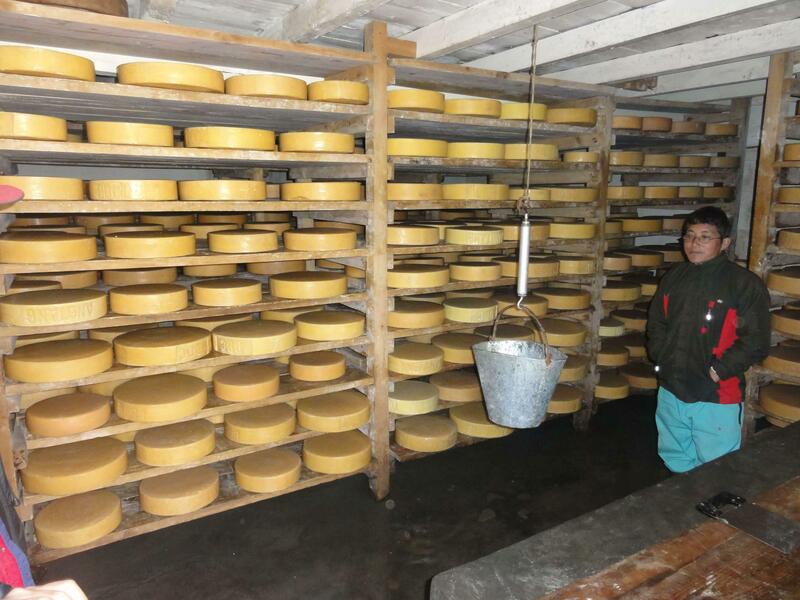 We tour Gomba (monastery) and Yak cheese factory in Kyanjin. The factory was started as a Swiss project in 1955. 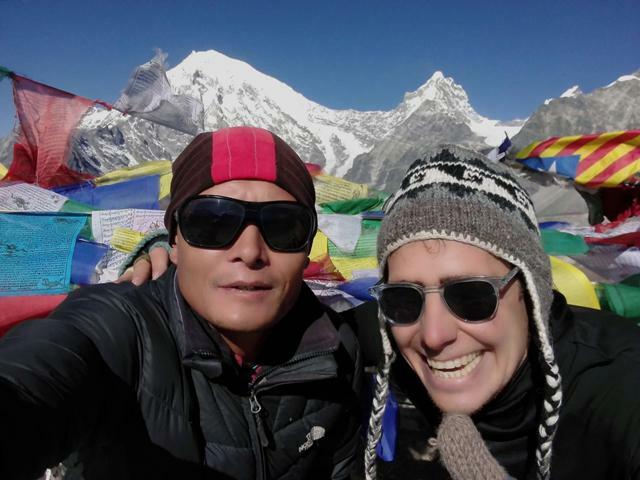 We climb Kyanjin or Tsergo Ri (4984m) in the Langtang’s remote upper part which is one of the best viewpoints in the Langtang National Park. We spend a second night at Kynjin Gomba and descend to Lama Hotel the same way we hiked up. From Lama Hotel, we trek to the villages of Sherpa gaon and Khangjim before we head down to Syafrubesi. We travel back to Kathmandu by public jeep. Itinerary of Lantang Valley Trek. Our company representative meets you at the Kathmandu Airport and you transfer to the Hotel. We brief about interesting places to see in Kathmandu. Day 02: Trek breifing, preparation and visit a cultural heritage site in Kathmandu..
We brief about day to day trek schedule and obtain Langtang National Park hiking passes. We take you for a tour of world heritage site Sawayambunath (monkey temple) in the afternoon. Day 03: Kathmandu to Syafrubesi 1450m/7hrs by public jeep. We go to a public jeep station from the Hotel after breakfast. We start our drive about at 7:00 AM and reach Trishuli Bazaar for lunch. From here, the road is zig-zag to reach Kalikasthan army check post and continue to Dhunche National Park hiking passes check post through the gravel road around Ramche landslide area in the rainy season. There is a first view of Mt. Langtang Lirung (7234m) from Dhunche. Then, the road goes downhill to reach Syafrubesi where we spend a night. Meals includes: breakfast, lunch. and dinner with tea/coffee. Day 04: Syafrubesi to Lama Hotel 2480m/6hrs. After registered hiking passes at the police check post in Syafrubesi, we cross the Bhote Khosi (river) and walk through villages and then follow the Langtang Khola (upstream) to reach Bamboo for lunch. The trail goes gradual uphill to Lama Hotel (name of the place) through the forest of bamboo, pine, birch, oak, and Rhododendrons. We see beehives on cliffs, many birds, roaming Langurs (monkeys) on trees and sometimes Red Panda en-route. Day 05: Lama Hotel to New Langtang Village 3430m/6hrs. The trail follows the Langtang Khola (upstream) and past the forest with occasional glimpses of Langtang Lirung between the trees. There are two teashops and hiking passes check post at Ghoda Tabela where is views of Langtang Lirung, too. On next, the trail goes gently uphill to reach the village of Thanshyap where we have a lunch break. We come across proper Yaks en-route. We cross the past landslide of a huge rock field to reach a New Langtang village which reminds us of the Earthquake in 2015. Day 06: New Lantang village to Kyanjin Gomba 3830/4hrs. The trail climbs gradual uphill and passes through the longest Mani wall (the mantras are carving on stone) to reach the twin villages of Mandum and Sindum. 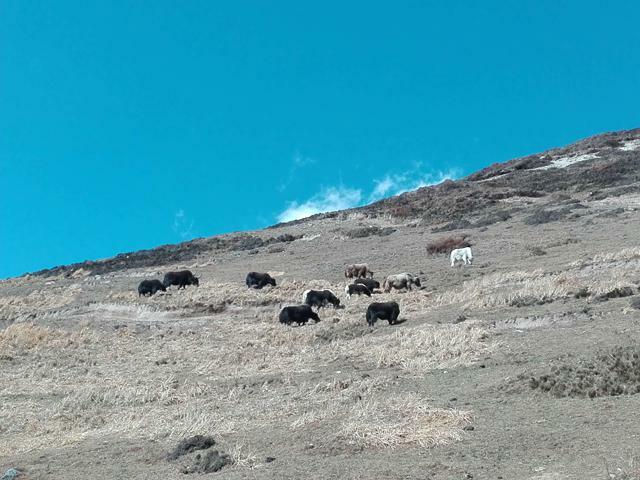 From here, we walk through yak pastures to reach Kyanjin Gomba. We tour to Kyanjin Gomba (monastery) and Nepal Government owned Yak cheese factory at Kyanjin Gomba in the afternoon. The sunset views are stunning over Langtang range from Kyanjiin Gomba where we spend two nights. Day 07: A hiking day to Kyjin Ri (4773m) or Tsergo Ri (4984m). Today, we climb to viewpoints (either Kyanjin or Tsergo Ri) on the Langtang’s upper part to enjoy the dramatic landscapes. Its easier climbs to Kyanjin Ri (4773m) compared Tsergo Ri (4984m) due to elevation. After spending half an hour at the top of viewpoint, we head back down to Kyanjin Gomba where we spend a second night. Day 08: Kyanjin Gomba to Lama Hotel 2480m/7hrs. We start retracing our footsteps with following the Langtang Khola and passing through Langtang village to reach Lama Hotel. The trail is downhill all the way to Lama Hotel which faster than the ascent. Day 09: Lama Hotel to Syafrubesi via Khanjim village 6hrs. We take the high route from Rimche to the village of Sherpagoan and Khangjim which has spectacular views of Ganesh Himal and could see the Himalayan Thar (mountain goats) en-route. From Khangjim, we retrace our footsteps back to Syagrubesi where we spend a night again. Day 10: Syafrubesi to Kathmamdu by public jeep 7hrs. We drive back to Kathmandu from Syafrubesi bypassing countryside and Trishuli bazaar. Meals includes: breakfast and lunch with tea/coffee. Day 11: A free day in Kathmandu. Today, you can do either shopping or cultural heritage site sightseeing tour in Kathmandu on your own choice. Day 12: International Airport departure. Our company representative drops you in the Kathmandu Airport in time for the flight back to home. Note:- Request a coustum itineary. 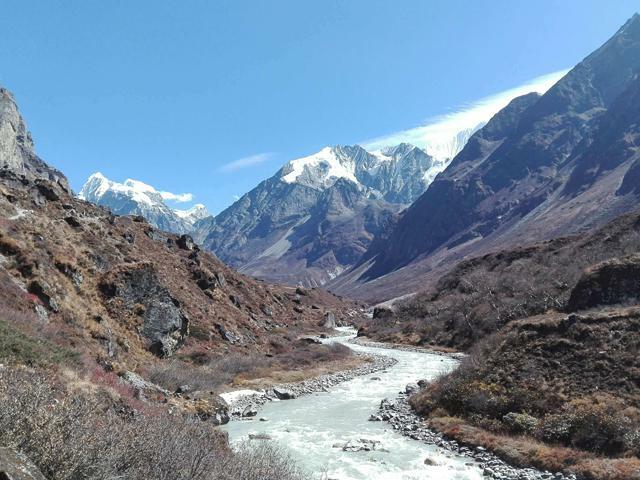 Do you have any questions about Langtang Valley Trek? Or, would you like to see how it can be customized to your needs? Please DM us. The following cost and date are for per person for online booking. 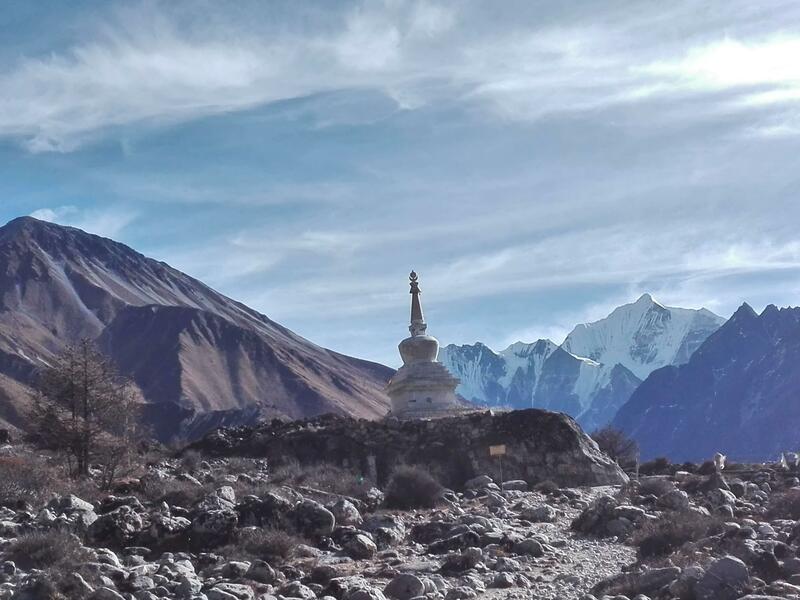 If the Langtang valley trek departure dates do not match for you, please DM us and we will happily customize your trip on the date that you need. Fixed departure date for Langtang valley trek for 8 days. 2 nights accommodaton (standard twn bed room with breakfast) in Thamel (tourist center)/Kathmandu. Kathmandu to Syafrubesi to Kathmandu by public bus/jeep. Teahouse meals for clients: 8 breakfasts, 7 lunches and 7 dinners with tea/coffee. Meals can be selected from menu and will have enough daily. Accommodatoin at lodge while on the trek. Nepali staffs: an experinced guide and necessary porters. Daily meals and salary for guide and porter. Mineral water, bolied water, coke, fanta, sprite, fresh or can juice, buscuit, sprite, beer and whiskey etc. Please read carefully cost includes and does not include above. All the meals are included with tea/coffee while on the trek. We do not include drinking water or boil water which you can buy at teahouse; this is $1 to 3 per liter. You can take water purified tablets or Seripen for a cheaper solution. Wi-Fi, battery charge and hot showers are not included. Wi-Fi is $6 for per card. Battery charge is $1 to 3 per hour per device (you can take power bank for a cheaper solution). The gas shower is USD2 to 4 per head. We do insure for trekking staffs and provide warm enough equipment. We do our best for your safety. Although we suggest you buy comprehensive travel Insurance that can cover flight cancellation, medical treatment, and Helicopter rescue emergency evacuation. 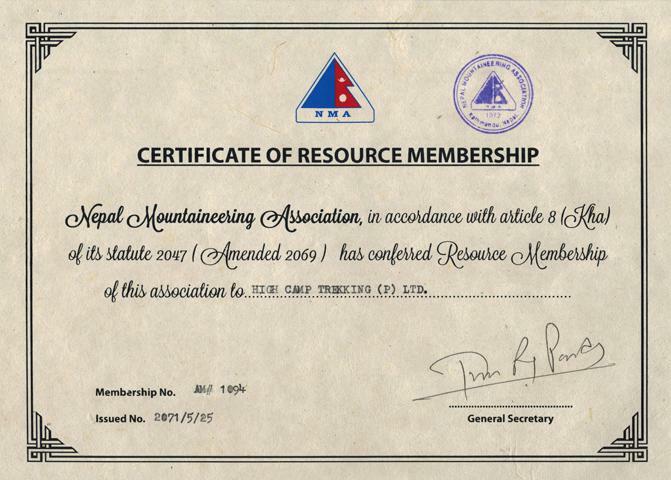 Please buy the policy that can cover for trekking activity up to 5550m for the days you will actually be trekking. Trekking equipment packing list for Langtang Valley Trek. Comfortable trekking boot. Three pairs of socks. Sandals. A down jacket, fleece jacket, two T-shirts, trekking trouser, two drip-dry T-shirts, one long underwear, a woolen/fleece hat, glove, water/windproof jacket and trouser, Sunglass, lip balm, Sun screem (50+), Sun hat, a light scarf, soap/shampoo and trekking towel etc. Sleeping bag (-5 degree centigrade) with hood. Snow gaiters and micro-spikes for the winter trip.